Its time to take a look at Corporate India's performance in Q1FY09. 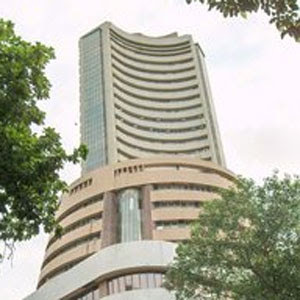 Profit GROWTH for the Sensex companies came out at 11.7%, the lowest since 2002. SENSEX. Ebitda margins declined marginally by 51bps to 20.6% and Ebitda grew by 26.3%, excluding financials. Growth was mainly concentrated in four sectors - Media (29%, supported by exceptionals), Telecoms (27%), Capital Goods (+25%) and Real Estate (+25%). The 1QFY09 results clearly indicate the pressure on margins and challenges in execution. Going forward, corporate India will face the headwinds of slowing demand environment. Stock to bottoms-up stock selection. Autos: 1QFY09 EBITDA margins declined across the board due to rising raw material cost pressures. Banks / Finance: Axis bank was a surprise Positive while ICICI Bank is the Worst Hit for now. Capital Goods: Strong order book growth and improvement in EBITDA margins for BHEL. L&T also registered robust growth in order book. ABB was a negative. Media: Zee results were strong led by 37% YoY growth in ad revenues and 28% in subscription. Real Estate: Topline growth was weaker than expected for most companies as impact of slowdown led to reduction in new projects launched; Margins were down across the board. Telecom: Bharti's operating performance was 4% ahead of estimates led by lower than expected ARPU decline of 2%QoQ and higher than expected 5%QoQ increase in MoU. RCom was a negative Surprise and faced downgrade.